What Does Oct 17, 2016 Mean to You? October 17, 2017 is the deadline for Transport Canada’s Air Cargo Security (ACS) Program. What is the ASC program? keeps goods moving in and out of Canada efficiently. Business must apply to participate in the program in order to screen, store, transport, tender or accept secured air cargo. 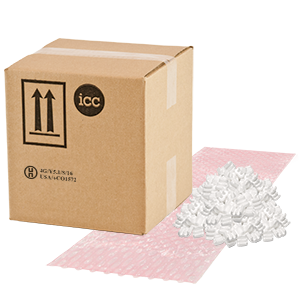 Known Consignor – originates air cargo that has been made secure through a screening process applied at the time of packing. Certified Agent – stores, transports and/or accepts cargo that an authorized Air Cargo Security Program participant has screened and made secure. Regulated Agent – screens cargo on behalf of others to make it secure and subsequently stores and/or transports the secure cargo. Account Consignor – originates cargo and has it screened by an authorized participant in the Air Cargo Security Program to make it secure. Authorized Cargo Administrator – directs the movement of secure cargo without coming into contact with it (i.e., provides logistics services without screening, storing and/or transporting the secure cargo). Participants must submit an application to Transport Canada which will be vetted, followed by an inspection and ongoing oversight.